The DleJAuto Template allows the component to layout in a simple, user friendly environment and gives you full control of the way your site is layed out with it's packed features and layout builder and lets not forget that you also have the pagebuilder to do anything possible. SnapShot is suitable for any kind of photography studio or personal website. If you are planning to start your professional or personal photography website then this template is perfect for you. The layout is perfect to promote your photography in a very professional way. It is fully responsive, it looks stunning on all types of screens and devices (desktop, notebook, tablet and mobile). SnapShot is powered by the new Helix Ultimate Framework. PoolSide is a Joomla 3 Responsive Template. Designed for Pool Service Companies. This template can be used for anything from personal to a full blown e-commerce site with the abilities of the layout and page builder. Comes with an all in one Products, Invoices, Quotes and Payments extension to use for the services and products you provide. MyBiz is a multi-purpose (all-in-one) Joomla 3 template. It is an excellent choice especially for businesses. It is a fully responsive bootstrapped solution that looks good on all resolutions and devices. 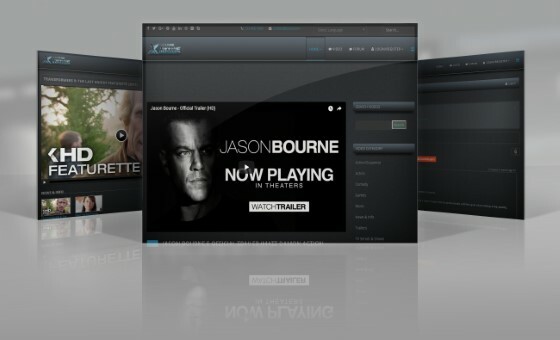 XtremeMovie is dark with some Xtreme graphics for an Awesome user experience and a unique website. This Template is designed for sharing movies and talking with other movie buffs about nothing but movies. CleanSlate is a Kunena 5.x Clean Vibrant template bult for Kunena 5.x. This template is designed in bootstrap 3 mockup and LESS, with this template you can configure it to be compatible with your joomla template. theBlues 1.0 Kunena 5.x Responsive Template is a Dark Template designed for those that use dark sites or would just like to add a dark side to the forum. Designed in Bootsrap and less. Good on all devices. This is a very nice and colorful template design considering the dark side of it. If you are wanting more of the template features login with demo/demo.